This infographic keeps popping up on all my feeds, and quite of a few people have tagged me in the Buzzfeed original post so I thought I should share it. I did a thing this morning. One of the things I wanted to do this year was generate more foot traffic outside of the Booklikes family to my blog. I'm not much of coder so moving to an outside source like Wordpress or Blogger really aren't for me. For a couple of weeks I've played around with Blogger, but haven't really liked what I've put up. So I keep trashing the idea. I have noticed that some of the book blogs I follow use a site called Bloglovin and I've been playing around with it today and it seems pretty straight forward. So I'm going to give it a try until the end of March and see if I'm still comfortable with it. I'm not hoping for a large turn over in just a few short weeks, but something I can easily use and feel like I know what I'm doing. Anyway in order to claim this blog is mind I needed to put a post the code below so I can get started. Follow my blog with Bloglovin!! And, wish me luck that this will work!! One of items on my bookish to-do list was to attend two book/author events this month. 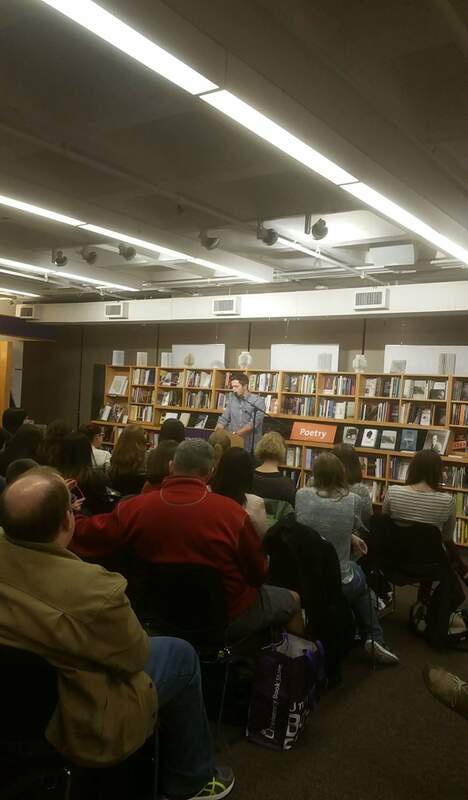 The first of those events was Pierce Brown's Book Tour for Morning Star, the third, and final, book in the Red Rising Trilogy. I was really excited for this one because I am a huge of fan of the series. In fact my Red Rising book is pretty battered because I took it ever where with me while I was reading it. Even if I knew I would only have time for a single page. I highlighted passages that meant something to me, things Darrow said that held power, pieces that when I reread I wanted to remember. I cried toward the end when the Jackal murdered the world's biggest teddy bear, and I've been afraid finish reading Golden Son. Not because I don't think I'll like it, but because I'm afraid of who I'm going to have say good-bye too. I'm just not ready to loose some of them. If I could wrap Mickey up in a blanket and shield him from the mean, mean lady I would! The bookstore was a packed house for the event, to the point a lot of us were standing because they ran out of chairs for all of us. It was pretty awesome to see so many people had also fallen in love with Pierce Brown's writing. Pierce Brown was great and was quick to connect with all of us. It was a super laid back atmosphere as he read from the prologue of Morning Star. Apparently it was the only safe part to read since the rest of it was just one big spoiler. Next up Pierce Brown took fan questions, as is the usual protocol for these things. It was cool to get a look inside of the making of the series and the characters themselves. He even gave some advice to all the writer's in the room that I will have to take to heart. Pierce Brown writes wonderful characters, no matter how cruel. In fact one of them gives me an actual want to be able to reach through the pages just so I can strangle her. Oh yeah, I'm talking to you, Harmony. Pierce Brown didn't just give us a look inside the book, but he also talked about the process he's going through to turn Red Rising in a movie. Which was kind of cool since it's all in the beginning stages of production at the moment. We all got a little bit of a look to what Pierce Brown wanted for the movie and the script. Lastly, of course, we all got queued up to get our book signed. Sadly I arrived right before the start of the event so I was toward the back of the line. Which was fine because I able to see Pierce Brown interact with all of us. He took time to listen to the praise and answer a few more one-on-one questions as he signed books. Every single one of us got the same treatment which I thought was pretty awesome. The two of us even nerded out over Star Wars as he signed my beat-up copy of Red Rising thanks to my R2-D2 backpack. Without a doubt it was a pretty epic evening. I am super excited to finally finish the series, despite how much I know it's going to hurt. Plus, I'm really interested to see what Pierce Brown's next series is going to be. He announced today that the new project will be released in a week when he's down with his tour for Morning Star. Here is to hoping that Sevro survives whatever's coming. So I know I haven't been posting much this week, but Valentine's Day Weekend is our busiest time of the year. Which means I've sort if come home and just crashed, and haven't really wanted to be on my computer. I'm hoping to get myself sorted out tomorrow because work should be back to normal. Also I'm hoping tomorrow I will be over to kick this migraine to the curb. I do have a couple of things I want to get posted. Hopefully that will happen Wednesday while I'm off work, maybe more than a couple. Who knows how much reading I'll get done tomorrow. Anyway, I hope everything had a wonderful Valentine's Day! Especially today when all the candy went on sale!! So my birthday was last weekend and it's kind of a tradition that me and some friends go somewhere and go book shopping. I'm a huge fan of small bookstores, because you never know what you'll find in those shops. It was decided that this year we'd go to the Oly Peninsula, because it has the best little dinner to get breakfast. I'm glad that's where we ended up. It was a fun little trip that we both enjoyed. Plus we hit up every single book shop we came across. Most of what I bought has been sitting on my TBR list on Goodreads, except for Pride and Prejudice and Zombies. That one I bought to finally round out my collection of Seth Graham-Smith books. As the title says this is part 1 of 2, maybe 3 hauls. Not only was my Assistant GM super awesome about letting me not be in my store on a Saturday, our busiest day of the week, I was given a very thoughtful fight from her and our boss. It's no secret that I'm avid reader and I hoard books. So they were kind enough to give me a gift card to Amazon so I could go on a little shopping spree. I'm currently awaiting the arrival of my haul from there. There might be a Half Price Book stop in my future. Maybe. I'm not sure yet. I have a tote bag full of comics that I need to see if I can resale to them. Seems like a legit excuse to stop in. Reading progress update: I've read 85 out of 170 pages. It's been so long since I read Warm Bodies that I've forgotten how much I love Issac Marion's writing style. Also, I cannot contain how happy I am to finally have this book in my hands! I have so much happening this month! Our biggest holiday at the bakery is Valentine's Day, so we're gearing up for that weekend. I have so many books lined up to read this month. Plus it's my birthday this month!! Which means I'll be gone for a weekend on a mini vacation. On top of all of that I have two author events that I'm super excited to attend. I'm super excited that both of these managed to work with my schedule! Morning Star is the third, and final, book in the Red Rising Trilogy. This is really all I know about this book. I haven't wanted to read to much about it, because I want to go in with a sliver of hope that not everyone is going to die horrid and terrible deaths. Honestly, I'm not sure which one of these events I'm more excited for. Both books sounds amazing for completely different reasons. Alexander Chee is a new author for me so I'm super excited to hear him talk about his book. 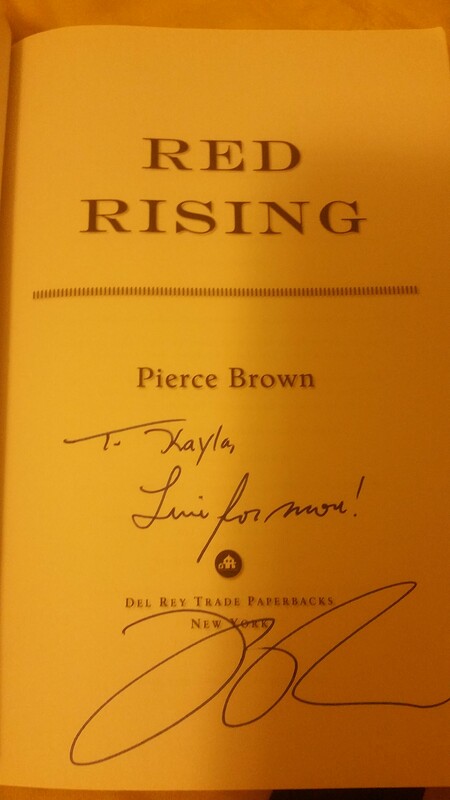 As for the Pierce Brown event, I'm a complete fangirl! No matter what both events will be fun and I can't wait! Well, that's it folks! January 2016 only has a few hours left in it which means it must be time for the wrap up. I have to say it's been a pretty good month for me: 2 read-a-thons came and went, I kept to my motto of Read Harder, and I had no book hauls. It also helped we had some sun out here this month and I was able to nest outside. Now, onto the January Stats! From the look of things February is shaping up to be just as good as January. I have a lot of good books piled up to read this month. Plus, it's almost my birthday!! Which basically means a few days off just for me where I can do whatever. It might also be a month with a few less graphic novels, maybe. I make no promises. I don't normally do two library runs in a week. 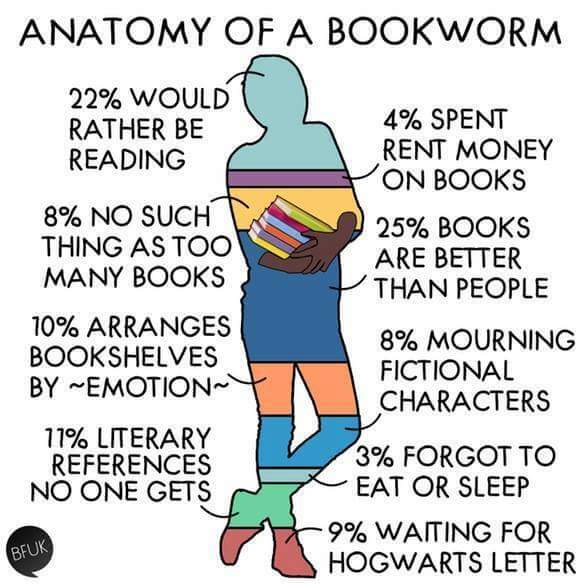 Mostly because it just puts a lot of books in our house, which is saying something considering the amount of books we own. Well, that I own. My flatmate is a little more picky about the books she's buys. Me, I shop for books like a squirrel. So anything pretty or mildly interesting generally makes it home. I digress from the point. Anyway, I got an e-mail today that two books I've been waiting for had arrive: Warren the 13th and New Hunger. So I made an exception to my rule because I didn't want to wait. 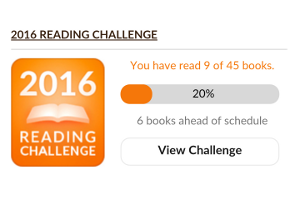 Which mean things I should be reading will wait until I finish New Hunger, but whatever. However, all of this leads into a funny story which I tell after I show the entire haul! 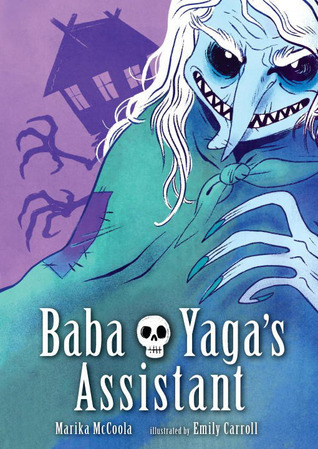 Baba Yaga's Assistant is another one of those Goodreads finds that sounds super cute and fun library read. Warren the 13th I have wanted to get my hands a copy of this books since I stumbled across it, again via Goodreads. In fact I have entered to win every single copy I could, but sometimes you can't win them all. So I've been waiting patiently for it to be my turn to get from the library. Today was the day, so I added the library to my list of errands. Came home to discover a surprise package from Quirk Books sitting in my mail box. I enter to win a lot of things to review here on My Book Life that I usually forget some of them. So I juggle everything into the house and tear open the package. There sitting in my it's envelope is Warren the 13th. So currently there are two copies sitting my house. One is on my TBR pile by my bed and the other in the pile of things my flatmate is taking back to the library with her this weekend. If only I would have checked the mail first. 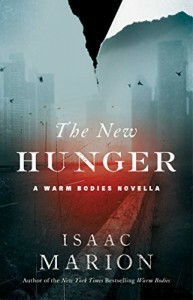 The New Hunger is a book I've been wanting a physical copy of since the ebook was published. I'm not a big ebook reader, it's just not my thing. Which means I've missed on some things, but Issac Marion did something lovely and put a book form the prequel to Warm Bodies. So this book has made it to the top of my TBR. It's a sorry, not sorry kind of situation. Inklings is another book I've been wanting to read since I heard about it's release. Two of the authors I adore: J.R.R. Tolkien and C.S. Lewis. However I don't honestly know much about either. As for the other two authors, Owen Barfield and Charles Williams, I don't know anything about them or their work. Hoping it'll be an interesting read that adds some things to my TBR pile. Twisted Fairy Tales is another Goodreads stumbled upon book that sounded a little creepy. Fantastic Fugitives is sort of my weakness when it comes to books. Anything set up like this I will buy and/or add on the spot. Little books of random pieces of history told and a humorous manner, I'm sold. So this post ended up much larger than I planned. Mostly because when I woke up this morning this haul wasn't planned. Thus why I'm calling it "Part Two". An add on to this week's early haul. When the year started I wanted my reading motto to be, Read Harder, because doing it smarter overwhelms me. I can't organize what I'm going to read. What sounds good today doesn't always mean I'm going to want to read it tomorrow. So I want to Read Harder. All the books I've been meaning to pick up. The ones I pushed aside because I should be reading that. Reduce my book buying until I can march my way through the stacks. The reasons and ideas go on and on and on. 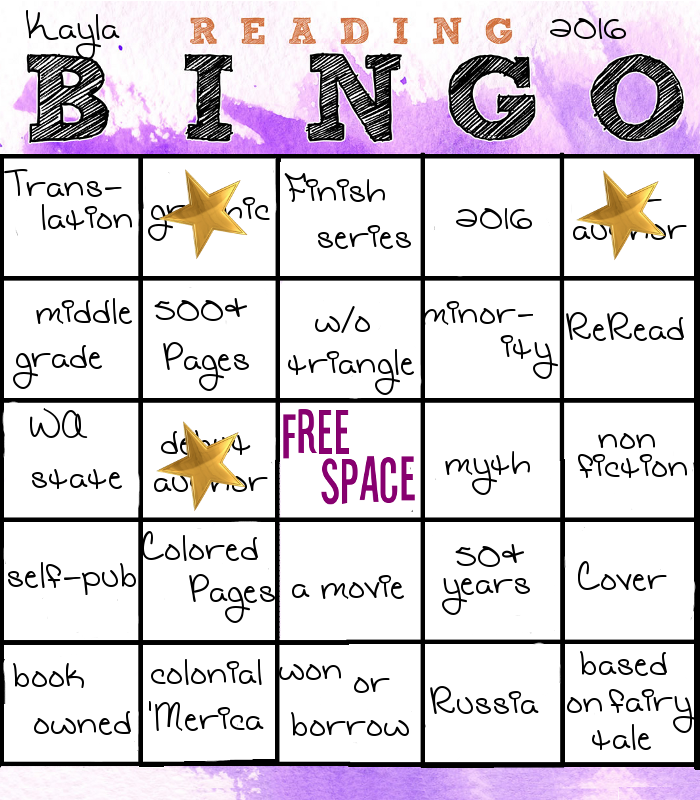 What my motto should be: 2016, the year all my favorite series get new books and I some how miss the memo. Sure it's a little long, but I'm beginning to see a pattern. After some dinking around Goodreads. 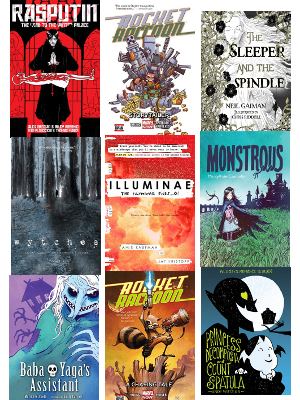 Looking at some of the recs that popped, flipping through some graphic novels I might want to add to my Hold list at the library. I was like, I wounder if Alex Grecian has a new book he's working on that Rasputin Volume 2 is out. Wouldn't you know the series that I thought was over. Which was one of the reasons I've been putting off finishing the series, because four books wasn't enough. It has a new book. I just went through this with the Lady Trent Series. So I did some digging to make sure it's not some small little novella like the Blue Girl. Nope. 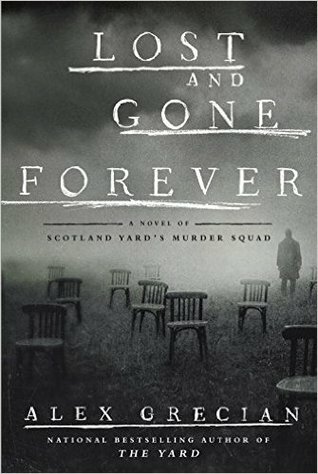 It's all true, Lost and Gone Forever will be her in May, and that cover. So creepy! I only have one reaction to the four month wait I'm now enduring. Basically it gives me time to finally read Harvest Man, the fourth book in the series so I'll be ready for the new book on release day. It will also hopefully mean the Alex Grecian will come all the way out here during his book tour. I have yet to be so lucky. I'm going to be entering to win a copy of this book ever single chance I get. I need it in my life! It's that time of the week again! I have ventured off to the library to pick up my holds and wouldn't you know, two of them are BINGO books. Six of Crows is one of the books I've been on the fence about. There has been a lot of hype around it, and I wasn't sure how I would like it. My flatmate just finished it last week and told me to pump it up on my list and I'd love it. The Night Parade is one my most anticipated for this month. I was pretty excited when it finally came in through the library. Something Nasty in the Woodshed is book number 2 in the Mortdecai Series. I had forgotten that I put both this and the first book on Hold at the same time. Most of my week was spent finishing up Illuminae and my weekend did not go as planned at all. In fact it was kind of crappy until the last afternoon I finally got a chance to chill and read. My hope jump into the Mortdecai Series between my shifts over the next couple of days, which would leave my days off the last two books of this haul. This book, this book... I honestly think it broke me. Twice I've sat down to write this review and I found myself just staring at an empty screen with no words. Nothing seems to be able to describe the journey I just went on with Kady, Ezra, and even AIDEN itself. I'm still trying to get my thoughts together for this review: everything I loved, every time I felt like the authors crushed my soul, and the pure dread when I was stuck in AIDEN's thoughts. Illuminae pulled at every emotion I have is without a doubt one of my favorite reads of 2016. 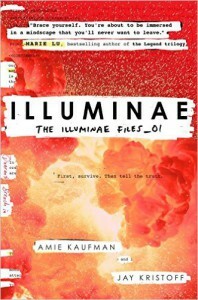 Illuminae is written as a dossier re-telling the events that occurred after the events on the ice planet Kerenza. Three ships containing all of the survivors are on the run from the last enemy ship that his hunting them down to hide the last few 1000 eye witnesses to what took place. Our story is focuses one two survivors, on two separate ships, Kady and Ezra. Who just a few hours ago broke up in a spectacular kind of way, but that seems a little small potatoes now they no longer have a home planet because BeiTech. Unfortunately, the quickly approaching dreadnought is the least of their worries. The AI on the only battleship protecting has gone crazy due to damages took in the fight to defend Kerenza. Oh and that's not all. It seems some sort of virus is spreading through civilians on one of the ship called Phobos. How's that for a summary of the book? Could our main characters possibly have to slog through a few more problems trying to get to the safety of the Space Station Heimdal? Wait until you find out just who this dossier was written for. Even when things are bad, it can always get worse. I have to say I adored the way Kaufman and Kristoff wrote this book: surveillance footage, e-mails, IMs, and com communication. It's unique and a wonderful way to tell a story. I felt engaged in the story because sometimes I'd have to turn the book sideways or upside down to read. The entire read was an experience you don't normally get with a book. So I thank them for putting something new in the lap of avid reader. Do I want all books to be like this? Naw, this kind of the works for Illuminae because of the kind of sci-fi adventure that it was. It works because on the characters is an AI and you have to get inside of AIDEN's mind to understand parts of the story. I also loved all of the nods to classic sci-fi movies that came before them: Battlestar, Star Wars, Star Trek, etc. As a sci-fi nerd as well, I thank you that. But, my absolute favorite part was the fact that there was no sound in space! Both authors did their research on what happens in space when things explode and in zero gravity and I appreciate that. Because everyone knows that in space no one can hear you scream. Kaufman and Kristoff's writing styles mesh well together and I honestly couldn't tell you who wrote what parts. Everything flowed together and I never once felt like the story itself started to lag. There was always some question that needing answered, another twist to the ever flowing lies being told to the civilians on aboard the Hepitia and Copernicus. Oh and AIDEN, the way that its written is beautifully insane. Some of the things that written are almost lyrical. A part of you feels for AIDEN despite being artificial intelligent, but a part of you hates him. I have to admit some of the sections with the AI gave me chills and made me a bit uneasy. The it is with Kady and how it believes so whole hardily in what it's doing. Am I not merciful? That's the question it would ask over and over. Just like Commodus in Gladiator. There wasn't a lot that I honestly didn't like about Illuminae, but there was a couple of things. First was the end of the book, while it was good and I sort of saw it coming when the character was first mentioned. Which is fine, I was hoping said person wouldn't be that character, but it wasn't enough to turn me away from the book. The second thing was the romance. At times I found it kind of annoying because seriously, intergalactic war and the AI is clearly insane. Can your epic love story take a back a seat? Again, it wasn't enough to turn me away, because everyone needs someone to fight for. All in all I loved it! In fact I've been gushing about this book since I first opened it. To which I'm sure my flatmate is sick of hearing about it, but I've added it a list of things she needs to read. In fact I recommend it anyone who loves the sci-fi genre. Even if it's just to read a book that's written like Illuminae, just for the experience. It's going to one of the books I add to my library. Now, can we get a release date for Gemina?! That would be great! Found this in one of my newsletters that I get from Shelf Awareness (one of the many places I discover new books), and I forgot that I saved to share. It's not just fictional jobs from books, but movies, comics, etc. I still think the coolest job ever it the Raptor Wrangler. The first guy might have gotten eaten, but Star Lord proved it could be done. Kind of, maybe, okay it was luck because Blue was awesome! But still! Clever Girl!